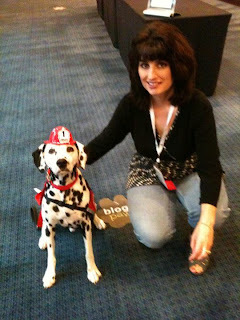 Fire Safety Rocks: Fire Safety Dogs on BlogPaw's Speakers Series Blog! Fire Safety Dogs on BlogPaw's Speakers Series Blog! Thank you to our friend, Carol Bryant, for her blog post on the BlogPaws Speakers Series blog, "Blogger on Fire: Learn How to Livestream" on the BlogPaw's website! We met Carol at BlogPaws 2011 and WE LOVE HER! She is one of the most creative people that we know and she has really helped the Fire Safety Dogs share information on their program and the work of the Keep Kids Fire Safe Foundation. Check out Carol's blog post HERE! Hope to see you at BlogPaws 2012 in Salt Lake City!